Use a wall outlet to charge. 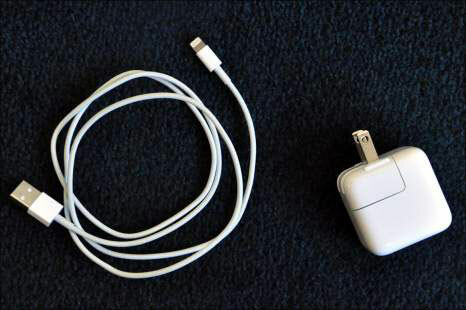 Though it can vary depending on your computer model, generally when connected to a Mac computer, iPad can slowly charge; however, some PC connections don’t provide enough power to prevent battery drain. Even so, the most effective way to charge your iPad is to plug it into the wall outlet using the Lightning to USB Cable (Dock Connector to USB Cable for pre–fourth-generation iPads) and the 10W USB Power Adapter that came with your iPad. Turn off the iPad. The fastest way to charge the iPad is to turn it off while charging it. Avoid USB ports on keyboards. Your battery may lose some power if you leave it connected to the USB port on a keyboard or other device. The best way to charge your iPad is with the included cord plugged into an electrical outlet. Using your computer to charge it can take a great deal longer. There are also power strips and adapters now available that have USB ports so you can charge several USB devices at once. Limit the screen’s impact on the battery. Turn off the screen when not in use because the display eats up power. Also, reduce the screen brightness in Settings to save power. Turn off Wi-Fi. If you’re not using Wi-Fi, turn it off under Settings. Constantly maintaining a Wi-Fi connection or searching for a signal can use up a bit of power. Your iPad battery is sealed in the unit, so you can’t replace it as you can with many laptops or your cellphone battery. If the battery is out of warranty, you have to fork over the money, possibly more than $100, to get a new one. If you use your iPad a great deal, consider getting the AppleCare service contract for free replacement. Apple has introduced AppleCare+. For $99, you get two years of coverage, which even covers you if you drop or spill liquids on your iPad. If your iPad has to be replaced, it costs only $50, rather than the $250 it used to cost with garden-variety AppleCare (but only for two instances). You can also purchase it when you buy your iPad or within a month of the date of purchase. See www.apple.com/support/products/ipad.html.